Shakir Khan is one of the most promising young exponents of the legendary Etawah Gharana, energetically following in the musical footsteps of his prodigious father and guru - the sitar maestro Ustad Shahid Parvez Khan. 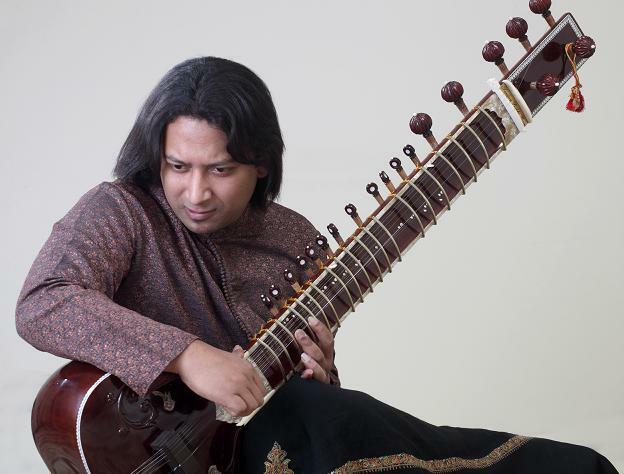 Indeed, Shakir represents the eighth generational link in an unbroken chain of musical talent and tradition poured exclusively into the sitar and surbahar. A chain that includes, besides Ustadji, the musical legacy of Ustad Aziz Khan (Shakir’s paternal grandfather), and that of the patriarchal surbaharist Ustad Wahid Khan (Shakir’s great grandfather). He is also a close blood relative of the great Ustad Vilayat Khan.